Located in quaint Ruidoso in southern New Mexico, this welcoming lodge with cozy rooms and suites offers amazing views of Sierra Blanca and The Links Golf Course. 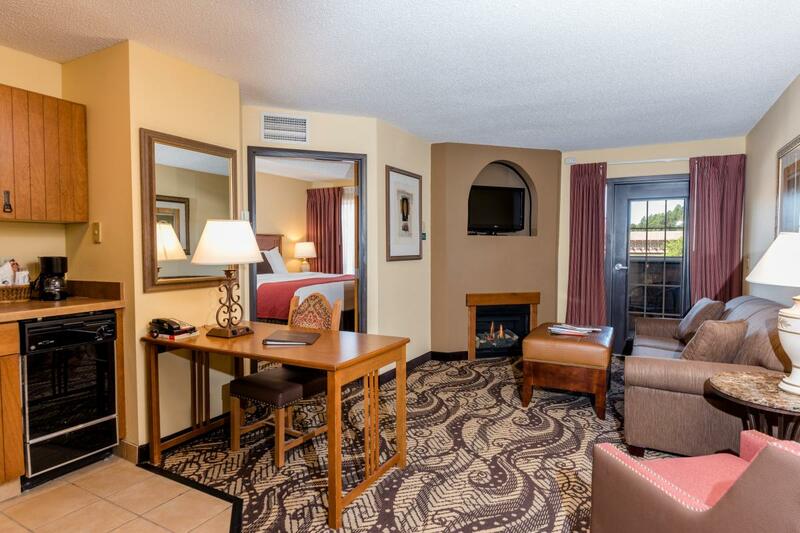 The pet-friendly property includes a hot breakfast buffet with eggs to order, Ruidoso’s largest saltwater pool and hot tub, cocktails in the lobby lounge, and miles of walking trails. In-room fireplaces, the comfiest beds on the planet, kitchenettes, plus Jacuzzi tubs in the various-size suites create a home away from home. Access the golf course from the expansive back patio that offers outdoor eating, a barbecue grill, fireplace and fire pit for great conversations or romantic embraces. Start or end the day at the fitness center and take advantage of the variety of massage therapies offered. 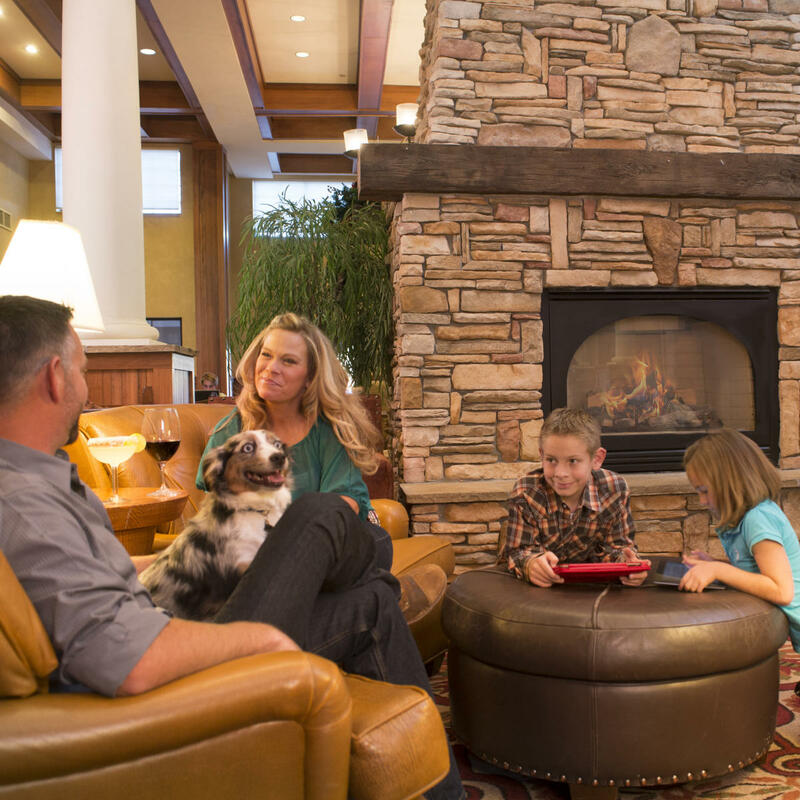 Above: The lodge has something for everyone—even Fido. Photograph courtesy of the MCM Elegante Resort and Lodge. “MCM Elegante Lodge & Resort welcomed my animals and treated them like guests. When I made my reservation, they even asked their names and greeted them warmly with treats when we arrived.” There’s a wonderful dog park along the walking trails surrounding the property with pine trees and benches to watch pets play. Next door are tennis/pickleball courts and a playground for kids. Above: Bedroom suites include a kitchenette, balcony, and fireplace. February is typically a good snow month in Ruidoso, where the alpine peak of Sierra Blanca is over 12,000 feet. Ski Apache features 55 runs and trails and 11 lifts, including a passenger gondola to the top. As the country’s southernmost ski area, Ski Apache has ideal warm-weather powder skiing and the slopes offer a mix of wide beginner slopes, tough bump runs, a huge bowl, and a terrain park with jumps, tubes, and rails. It’s also the home to the Wind Rider zipline where the three-part zip tour reaches 8,900 feet in length. For the milder at heart, visit the Ruidoso Winter Park for tubing where the Magic Carpet lifts take you to several hill options. No need to walk! The MCM Elegante Lodge & Resort is a good-size property and ideal for spring break, family reunions, weddings, girlfriend getaways, or a couple’s retreat. And the staff strives to make your visit as memorable as possible. For more ideas on what to do around Ruidoso, check out MCM Elegante&apos;s site.